Whether you have a vast garden or are limited by a small apartment balcony, it is now perfectly feasible to reduce your reliance on supermarket prices. Growing your own food has become increasingly common as people start to focus on healthy eating and reducing their weekly supermarket spend. Rising food prices can make shopping very expensive, and if you want to avoid that bill then growing your own produce is now easier than ever. No matter how much space you have to spare, here are the best ways to grow what you need and decrease the amount of money you spend getting the food you require. Start Small: Only plant the food that you like to eat. Choose location: Whether you have a large space or a small one, make sure that your growing spot gets good access to sunlight, with a water supply close by. Soil types: If you’re in a small apartment, your soil options are going to factor into your growth rates. 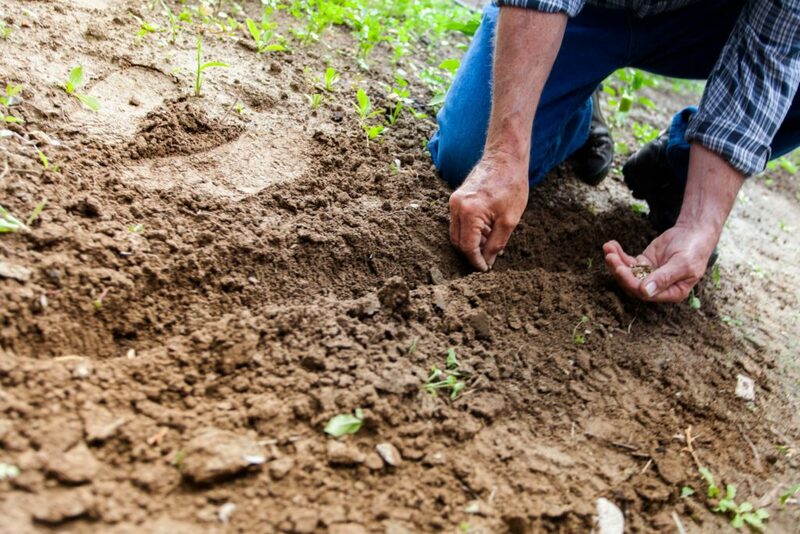 Choose the best soil for your produce, and your harvest will be much better. If you are using a garden, consider using a raised bed so that you have greater control over the soil that you use. Get advice: Talk to other gardeners, or chat to local farmers in order to get a better idea of the best plants to grow and the best times of year to plant them. If you’re really limited by space, then you might want to look at local communal gardens. These community projects are usually localized, meaning that you can work together in order to have a richer harvest and less reliance on supermarket prices. Not only that, but you also build a stronger sense of community, and that’s always something worthwhile. Double up planting: You’ll be able to keep your stocks fuller if you double up on planting. By planting salad greens beneath pepper plants, or by adding parsley to the hard edges of your gardening area, you are making the most of the available space. Try unusual options: Seed catalogs are full of new ideas for unusual crops to grow. Some will require specialist environments but most can be grown with minimal extra work. Make sure that you buy high- quality tropical vegetable seeds and learn about the tips and techniques to ensure that they grow as well as they should. Going Green: Most green vegetables are fast growers, making them ideal for maximum yield. Baby Greens can take just a month to grow, making turnaround very quick. Be as frugal as you like when it comes to the time and the energy that you put into your harvest. The more that you commit, the more beneficial your rewards will be. You might find that growing your own food not only reduces your weekly food bill, but also makes you feel physically and mentally healthier as well.